Home / Articles / 2012 / 2012 Salary Survey: How Long Has It Been Since Your Last Salary Increase? 2012 Salary Survey: How Long Has It Been Since Your Last Salary Increase? Slightly more chemical processing professionals have received a raise in the last year. Editor's Note: This is Figure 1 from the 2012 Salary Survey: Salaries Move Ahead – Slowly. 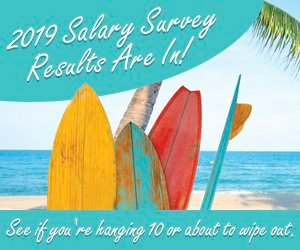 Salaries, bonuses and raises are on the rise, but the average pay raise percentage fell slightly, according to the results of Chemical Processing's 2012 Salary and Job Satisfaction Survey. Much else remains the same compared to last year's poll. The number of chemical processing professionals that received a salary increase within the past 12 months rose to 58% (907) — a 2% rise from 2011 results. But unlike last year, when many respondents griped that the pay raise then wasn't enough to make up for past pay cuts or wage freezes, most readers appear content with their current pay and benefits. "I feel I am fairly compensated for the work I do. I also am happy with the benefits provided by my company given my salary," says one survey participant. "I make a good salary, but you always hear about someone else making more money or a better benefits package at other companies. But that is what makes a free market wonderful. It gives you options," notes another. "I feel I am under-compensated, at least partly due to the dearth of engineering jobs in this area. Benefits are substandard (6 holidays a year, no matching 401k contributions unless they feel like it, which is rare), but better than nothing, I guess," declares another respondent.